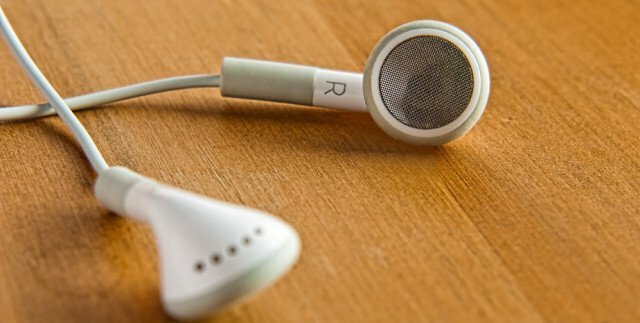 Have your tunes — and still be polite — with these tips. If you enjoy listening to music while riding, get this: Research shows that tuning in to your favourite jams can make you ride happier, harder, and faster. Music is scientifically proven to reduce perceived exertion, boost your energy levels, and increase your endurance by as much as 15 percent. If, however, you have “Don’t Stop Believing” blaring so high that you can’t hear cars approaching behind you, another rider trying to pass you, or a barking dog coming straight for you, it can wreck your ride – and someone else’s – in a second. Here’s how to stay safe and be civilized while rocking out on your ride. Unless you’re on your trainer, pull the right bud (which faces traffic) out of your ear and ride with just the left one in so you can hear cars, other riders, and your general surroundings. You don’t want to be taken by surprise by dogs, buck, or vehicles, which can happen in even remote settings. If you’re a hopeless audiophile, you can buy single ear buds, that are designed to mix both channels of stereo audio sound into a single earpiece, so you don’t miss a beat. Blaring music, even in just one ear, can be distracting and even damaging to your hearing. If passersby can hear Lil Jon screeching from your ears, it’s too loud. Most headphones’ max volume is around 105 decibels. Normal talking is between 40 and 60 decibels. Ear health experts recommend keeping the volume on your player to 60 percent of max – the level of someone talking loudly – and limit it to about 60 minutes a day. Going longer? Just turn it down a notch. There are a number of rechargeable or battery operated Bluetooth speakers that you can mount on your bars to serenade your cycling outings. They’re generally loud enough so you can hear them, but not so loud that you’re disturbing the peace or other riders, unless they’re really close by. In a crowd, use common courtesy and turn it down (unless your neighbours ask you to turn it up!). Many organised rides and races have rules against participating with music. Don’t be that guy who’s blissfully bopping along in ignorance. When the organiser says no ear doping, leave the tunes turned off. Pluck those buds on social rides. Social rides by definition are rides where you’re there to enjoy the company of others. Wearing earbuds – even one – is a bit antisocial in these circumstances. Leave ‘em at home and enjoy the sights, sounds, and conversations of the ride.